5 British Influencers Brands Love. Here, Zoella. When Pop Art idol Andy Warhol predicted that eventually we’d all be famous for 15 minutes, he prophesised celebrity culture. But surely he couldn’t have foreseen that today’s top tier of celeb influencers can charge companies up to $300,000 per social media post. The rise of social media stars is criticised by some for devaluing ‘true’ talent. But it’s directly connected swathes of fans to figures whose unconventional looks and attitudes might have seen them side-lined by mainstream media. With that in mind, let’s take a look at five British influencers brands love. Beauty and fashion blogger Zoella first appeared on the social media scene in 2009 — and built her personal brand on YouTube through friendly, accessible content. It wasn’t long before beauty professionals spotted the potential of millions of YouTube and Instagram followers and sought her out for collaborations. She’s since launched her own clothing website and still has considerable clout as a key influencer. 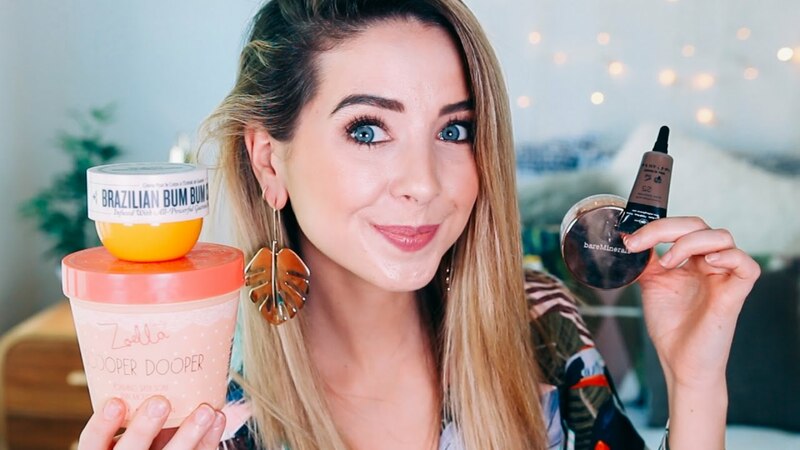 So Zoella’s a trailblazer for influencers who want to turn temporary fame into sustainable success. Newcastle’s own Vikki Pattison made her name in the reality TV series Geordie Shore and boosted her celebrity currency by winning the 15th series of I’m a Celebrity…Get Me Out of Here! Her Instagram account boasts almost four million followers, so she’s a prime pick for endorsing everything from maxi dresses to milkshakes. Vikki’s story proves that the girl next door could be the next social media magnate. Ksi has racked up 15.9 million YouTube followers and 2.7 Twitter fans with quirky commentary videos on football and video gaming. He’s only made 12 Instagram posts in his career, but they’ve attracted 4.3 million followers. His deals with Xbox and Maker Studios got him started, but he’s since branched out successfully into music. This influencer has reputedly earned $11 million so far — not bad for a 24 year old from Hertfordshire. He’s a great example of a digital generation gamer who seems instinctively tuned into what makes his followers tick. Tanya Burr harnessed the power of the net to move from working on the MAC counter at her local department store to becoming a YouTube sensation with millions of followers — and her own cosmetic brand. She’s made her name with hugely popular tutorials that bring insider makeup tips to over six million viewers per month. So Tanya used digital tools to turn her time-served technical expertise into an extremely lucrative business — arguably giving her more authority than celebrities from other spheres that turn their hand to promoting random products. Iskra is a New York-based British model who champions curves and makes body fascists beg for mercy. She has 3.2 million Instagram followers and makes a tidy online living through sponsored posts for various health and beauty brands. Her refusal to have any of her photos retouched has made her a heroine to legions of followers and a prime target for brands who want to connect with customers in a refreshingly honest manner. It’s easy to criticise the cult of celebrity, but many influencers have substance that matches their style. And their ability to communicate with fans in a fast and effective manner is worth its weight in gold to marketers. These five British influencers brands love prove that anyone with the right attitude and smarts can become a superstar. Which influencers do you admire? Share your views in the comments section.